Before Babe: The Women Who Changed Golf chronicles an important era in women’s golf, when the top amateur women golfers on both sides of the Atlantic changed the way women played golf, began international competitions, and set the stage for Babe Didrikson Zaharias, Patty Berg and 11 others to establish the LPGA two decades later. The drive for change began in the first years of the 20th century, stalled during World War I, and took off during the Roaring 20s, when women cast off corsets and shortened their skirts, no small changes when it came to swinging a golf club. It was a time when girls who had an interest in sports were allowed, even encouraged to pursue those interests to their hearts’ content, like never before. And just as the newsreels took notice of champion boxers and big league baseball players, the cameras loved to capture accomplished women golfers competing for trophies. 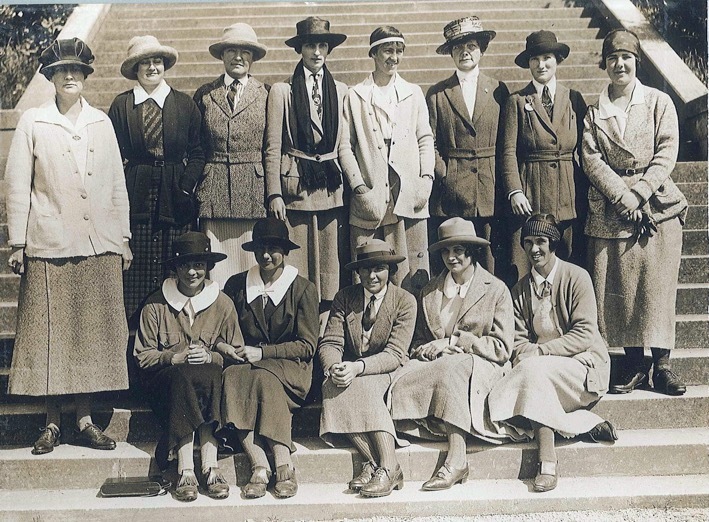 Drawn together by destiny and the sheer will of golf fans, top American champion Glenna Collett and top British champion Joyce Wethered squared off on the revered Old Course at St. Andrews, Scotland in the final round of the 1929 Ladies’ British Championship, a match still considered one of the all-time great golf matches. In 1930, Collett served as captain of a team of U.S. women golfers who sailed to England to play an informal match with Britain’s top female golfers. That match was the forerunner to the official Curtis Cup, a women’s team competition between the U.S. and Great Britain & Ireland. First contested in 1932, the Curtis Cup continues to this day. Using vintage film, photographs, newspapers, books and magazine coverage, Before Babe spotlights these groundbreaking international matches, and the impact these 1920s women golfers had on their sport and society at-large.